President Trump met with Fed Chair Janet Yellen Thursday as he weighs whether to reappoint her as the head of the nation's central bank. Trump was frequently critical of Yellen and the Fed during the 2016 campaign, but more recently he's said he's considering reappointing her because she's "done a good job." The Fed's policies have been credited with helping to lift the U.S. stock market, a trend that Trump would clearly like to see continue. Yellen has a reputation as something of a "dove," meaning she's in favor of slowly raising rates and tightening credit. During the campaign, Trump had a much different take. He told CNBC in September 2016 that Yellen should be "ashamed of herself" for creating a "false stock market." In October 2015 he told Bloomberg that she was a "very political person" who was keeping interest rates low to help President Obama. But since the election, Trump has been thrilled with the stock market rally and changed his tune about Yellen. Reappointing her could be one way to keep the markets happy and growing. 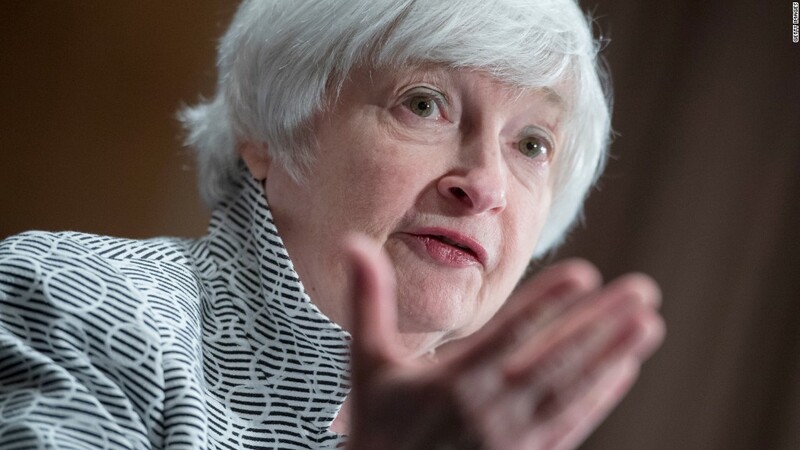 In July, he told the Wall Street Journal that he has a lot of respect for Yellen, and that he likes her demeanor, as well as her policies. "I'd like to see rates stay low. She's historically been a low-interest-rate person," he said at that time. Trump has already met with former Fed governor Kevin Warsh and Stanford economist John Taylor, both of whom are far more hawkish. Yellen has declined to say whether she wants to be reappointed, only that she expects to serve out her term at the head of the central bank that runs through the end of January. Fed chairs serve four year terms. It is not unusual for presidents to reappoint Fed chairs who were originally appointed by their predecessors. President Obama reappointed Ben Bernanke, who had been President George W. Bush's chief economic adviser before he was tapped to head the Fed. President Clinton reappointed Alan Greenspan, who had first been appointed by President Reagan. But Yellen would be unpopular with some members of the Republican party. Rep. Warren Davidson, a member of both the House Financial Services Committee and the conservative Freedom Caucus, is circulating a letter to colleagues to oppose the idea of reappointing Yellin, his spokesman confirmed.